Not to be confused with Morris Bishop. Grenada is a country in the West Indies in the Caribbean Sea at the southern end of the Grenadines island chain. Grenada consists of the island of Grenada itself plus six smaller islands which lie to the north of the main island. It is located northwest of Trinidad and Tobago, northeast of Venezuela and southwest of Saint Vincent and the Grenadines. Its size is 348.5 square kilometres (134.6 sq mi), and it had an estimated population of 107,317 in 2016. Its capital is St. George's. Grenada is also known as the "Island of Spice" due to its production of nutmeg and mace crops, of which it is one of the world's largest exporters. The national bird of Grenada is the critically endangered Grenada dove. A revolutionary is a person who either participates in, or advocates revolution. 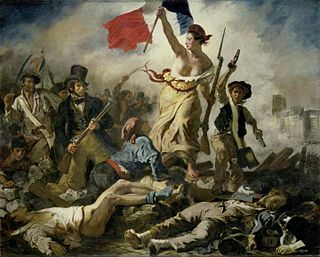 Also, when used as an adjective, the term revolutionary refers to something that has a major, sudden impact on society or on some aspect of human endeavor. For his secondary education, Bishop received one of the four government scholarships for study at the Roman Catholic Presentation Brothers' College. He was elected president of the Student Council, of the Discussion Club, and of the History Study Group, along with editing the newspaper Student Voice and participating in sports. He later recalled: "Here I had much interest in politics, history and sociology." He also established contacts with students from the Anglican Grenada Boys' Secondary School, his own school's competitors. He was an ardent supporter of the West Indies Federation established in 1958 and the ideas of Caribbean nationalism. He also recalled the great interest the 1959 Cuban Revolution aroused in him. 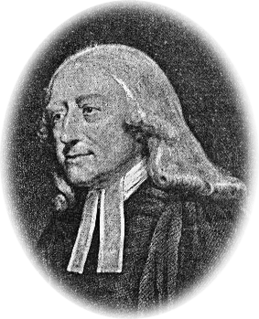 Bishop recalled: "In fact, for us it did not matter what we heard on the radio or read in the colonial press. For us, it comes down to the courage and legendary heroism of Fidel Castro, Che Guevara. ...Nothing could overshadow this aspect of the Cuban Revolution." Presentation Brothers' College is a prominent Roman Catholic secondary school for boys in St. George's, Grenada. It was founded by the Presentation Brothers in 1947. Grenada Boys' Secondary School (GBSS) is a secondary school in Grenada. It is one of the oldest secondary schools on the island. Julius Kambarage Nyerere was a Tanzanian anti-colonial activist, politician, and political theorist. He governed Tanganyika as Prime Minister from 1961 to 1962 and then as President from 1963 to 1964, after which he led its successor state, Tanzania, as President from 1964 to 1985. A founding member of the Tanganyika African National Union (TANU) party—which in 1977 became the Chama Cha Mapinduzi party—he chaired it until 1990. Ideologically an African nationalist and African socialist, he promoted a political philosophy known as Ujamaa. Frantz Fanon, also known as Ibrahim Frantz Fanon, was a French West Indian psychiatrist, philosopher, revolutionary, and writer from the French colony of Martinique, whose works are influential in the fields of post-colonial studies, critical theory, and Marxism. As well as being an intellectual, Fanon was a political radical, Pan-Africanist, and Marxist humanist concerned with the psychopathology of colonization, and the human, social, and cultural consequences of decolonization. In 1979 Bishop's party staged a revolution and deposed Gairy, who was out of the country addressing the United Nations at the time. Bishop became Prime Minister of Grenada and suspended the constitution. Bishop introduced free public health; illiteracy dropped from 35% to 5% and unemployment from 50% to 14%. But its weak point was tourism. He unpacked the old project of an international airport and asked his friend Fidel Castro for help. Partly as a result of Bishop's murder, the Organization of Eastern Caribbean States (OECS) and the nations of Barbados and Jamaica appealed to the United States for assistance, as did Grenada's governor-general Paul Scoon, and then U.S. President Ronald Reagan launched an invasion. 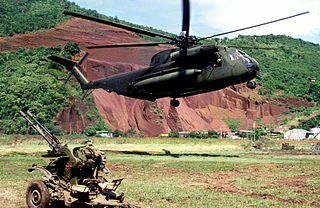 The United States invasion of Grenada began on the 25 October 1983. The invasion, led by the United States, of the Caribbean island nation of Grenada, which has a population of about 91,000 and is located 160 kilometres (99 mi) north of Venezuela, resulted in a U.S. victory within a matter of days. 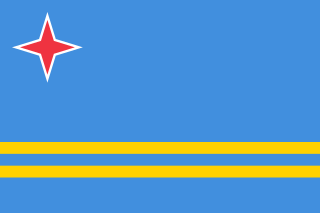 Codenamed Operation Urgent Fury, it was triggered by the internal strife within the People's Revolutionary Government that resulted in the house arrest and the execution of the previous leader and second Prime Minister of Grenada Maurice Bishop, and the establishment of a preliminary government, the Revolutionary Military Council with Hudson Austin as Chairman. The invasion resulted in the appointment of an interim government, followed by democratic elections in 1984. The country has remained a democratic nation since then. Sir Paul Godwin Scoon was Governor-General of Grenada from 1978 to 1992. His tenure is notable for its hectic events related to the rise and fall of the People's Revolutionary Government, as well as his personal involvement and support of the Invasion of Grenada. The People's Revolutionary Government (PRG) was proclaimed on 13 March 1979 after the New Jewel Movement overthrew the government of Grenada in a revolution. 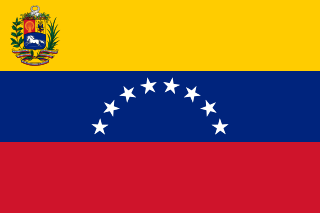 The government suspended the constitution and ruled by decree until a factional conflict broke out, culminating in an invasion by the United States on 25 October 1983. Maurice Bishop Airport, formerly known as Point Salines Airport, is an international airport located in the parish of St. George's. The town of St. George's is about 5 mi (8.0 km) north of the airport and is the capital of the island nation of Grenada. The airport is located on Point Salines, the most southwestern point of the island. Hudson Austin is a former general in the People's Revolutionary Army of Grenada. After the killing of Maurice Bishop, he formed a military government with himself as chairman to rule Grenada. The Grenada 17 are the seventeen political, military and civilian figures who were convicted of various crimes associated with the overthrow of the Maurice Bishop's government of Grenada in 1983 and his subsequent murder. The People’s Revolutionary Army (PRA) was the military of Grenada between 1979 and 1983. Franklyn Harvey was a Grenadian academic, activist and professional, a founder of the New Jewel Movement and principal author of their manifesto. He had a significant influence on the development of the Caribbean new left throughout the 1960s and 1970s and later, in the animation of hundreds of municipal and community projects all around the world. When the NJM took over the government of Grenada on March 13, 1979, Harvey's contributions to their manifesto began to take concrete form across the island. Jacqueline Creft was a Grenadian politician, one of the leaders of the revolutionary New Jewel Movement and Minister of Education in the People's Revolutionary Government from 1980 to 1983. She was executed in October 1983 along with Maurice Bishop, prime minister of the country and father of her son Vladimir (1977–1994). 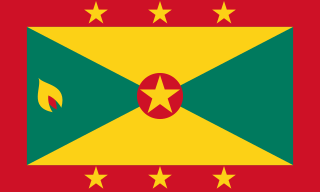 Grenada Has not had a standing army since 1983, after the American-led invasion but it has a small force of police and paramilitary forces. ↑ "Biography: Maurice Bishop". Grenada Government. 2009-09-23. Retrieved 8 January 2015. 1 2 3 4 5 6 7 8 9 10 Mendoza, Jorge L. (1982). Granada, La Nueva Joya del Caribe [Grenada: The New Jewel of the Caribbean] (in Spanish). Havana: Editorial de Ciencias Sociales. pp. 72–192. OCLC 8726920. 1 2 3 4 5 6 7 8 9 10 "Maurice Bishop Biography". www.thegrenadarevolutiononline.com. Retrieved 6 June 2017. ↑ "Bishop, Maurice (1944–1983) | The Black Past: Remembered and Reclaimed". www.blackpast.org. Retrieved 5 June 2017. ↑ Ceja, Lucho Granados. "Remembering Maurice Bishop and Grenada's Revolution" . Retrieved 5 June 2017. ↑ "Maurice Bishop Speech to the 34th General Assembly of the United Nations, New York". Quoted on Assata Shakur website. ↑ "Answers – The Most Trusted Place for Answering Life's Questions". Answers.com. Retrieved 5 June 2017. ↑ Tharoor, Ishaan. "Analysis | The long history of the U.S. interfering with elections elsewhere". Washington Post. Retrieved 5 June 2017. ↑ "Forward Ever, Backward Never: Remembering Maurice Bishop – Invent the Future". Invent the Future. 19 October 2013. Retrieved 6 June 2017. 1 2 País, Ediciones El (19 August 1994). "Reportaje | 'Apocalypso now'". EL PAÍS (in Spanish). Retrieved 6 June 2017. ↑ "Grenada trying to find remains of slain Marxist PM", Fox News, 8 June 2012. ↑ "Jacqueline Creft (1947–1983)", The Grenada Revolution Online. ↑ The Grenada Revolution Online – Maurice Bishop biography. ↑ Stephen Millies, "Welcome to Maurice Bishop International Airport", Workers World, 14 June 2009. ↑ "What About the Airport?" The Grenada Revolution Online. ↑ "Grenada names airport in honour of fomer PM Maurice Bishop" Archived 26 October 2012 at the Wayback Machine , Jamaica Gleaner , 31 May 2009. ↑ "Welcome to Maurice Bishop International Airport", Grenada Herald, 31 May 2009. 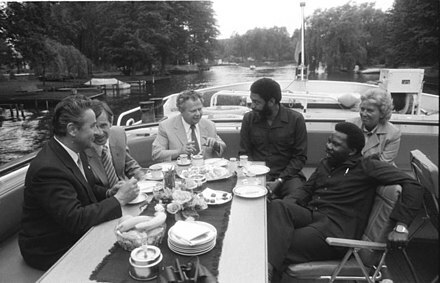 Wikimedia Commons has media related to Maurice Bishop . Italics indicate de facto Prime Ministers of Grenada.